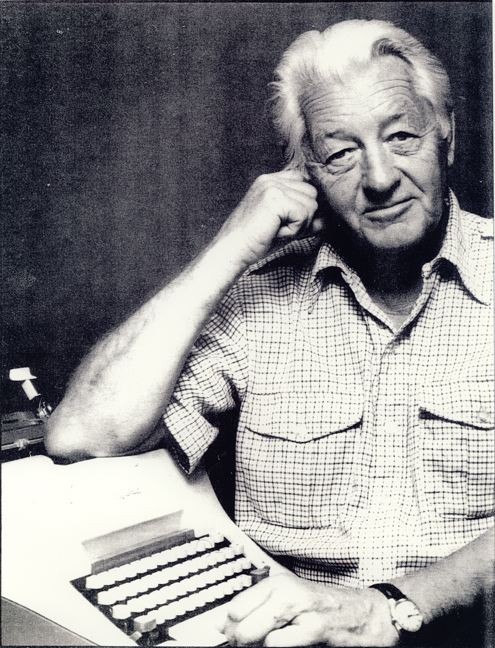 Although Wallace Stegner has long been known as the "dean of western writers," the centennial celebrations in his honor in 2009 and the release of Wallace Stegner: A Biographical Portrait, nationally on PBS stations and simultaneously on DVD, will solidify his legacy as one of America’s great authors. Award-winning producer John Howe has captured the tremendous influence Stegner has been on the lives of generations of readers and students. Stegner published over 30 fiction and non-fiction books and was awarded a Pulitzer Prize for Angle of Repose. His biography of John Wesley Powell, Beyond the Hundredth Meridian, is hailed as the foundation of new thinking on the American environment. His writing program at Stanford has mentored some of America’s most acclaimed authors, including Larry McMurtry, Wendell Berry, Tillie Olsen, and Edward Abbey. Anyone who has been moved by the masterful writings of Wallace Stegner will appreciate this visual glimpse into the complex, fascinating life of a man with a passion for creative writing and "knowing" the land.